This centre is based in a superb logistical location on the outskirts of Doha International Airport. Offering a range of work spaces in different configurations to suit the requirements of your business, your business can flourish with the aid of this centre's quality facilities. There is a board room for negotiations and collaborative projects, a secretarial team that will handle your telephone answering for optimum efficiency, and videoconferencing facilities. You can socialise and breakout in well-designed lounge spaces. The surrounding area offers a range of local amenities, from restaurants to fitness centres. Everything you could desire for your business is right here! With a lovely surrounding and enviable location in the heart of Doha downtown, this office complex is without doubt a clear winner in every aspect. Throw in the pleasant view of West Bay into the mix, and no wonder major multi-national organizations are shifting their regional offices to this area. Relaxed working atmosphere is guaranteed and there is no shortage for quick conveniences either - this office is surrounded by a number of food courts, hotels, cafés and shops. Exclusive serviced offices with high-class facilities are available in a modern business location, approximately 10 minutes’ drive to Doha International Airport. The office combines contemporary design with pleasing facilities such as modernized offices, equipped meeting/conference rooms, fast network access, professional reception services and 24-hour access. Notable location in the heart of Qatar with great access to ring roads and public transport options, and is located only minutes’ away from West Bay. Office space prices ranging from QR750 - QR10000 per month. This high-end commercial office space is strategically located on Al Shamal Expressway in the North of Doha near a number of governmental headquarters. Each floor has a completely open floor plan, allowing for a flexible layout. Occupants will have direct access to North Gate Mall, where there is an abundance of mundane amenities of which you can take advantage. It is just 30 minutes to the international Airport. Benefiting from an iconic location in Qatar’s capital and economic centre this contemporary building brings together offices and commercial space and includes an on-site fitness centre, secure underground parking and videoconferencing facilities. This centre is surrounded by a wide range of cafes and eateries, great for grabbing lunch with colleagues. There are endless restaurants situated around the centre, which are great for a mixture of occasions, such as entertaining with clients or celebrating a team win! There are regular bus routes located around the centre. Surrounded by major financial institutions, this flexible office space, with private and collaborative options, is set within an impressive building in the heart of Qatar's Capital city. Members have access to meeting rooms, lounge areas and a fully functioning kitchen where they can recharge throughout their working day. Here, there is also high-speed shared internet, board room, IT support and open-plan offices for maximum flexibility/adaptability. A unique opportunity to establish your business in a sought after commercial building that has been brilliantly designed with stunning architecture. The building also enjoys an amazing view of West Bay and Palm Tree Island. It offers a great reception area and access to high speed internet, meeting rooms, hot desks, kitchenette, washrooms and much more. 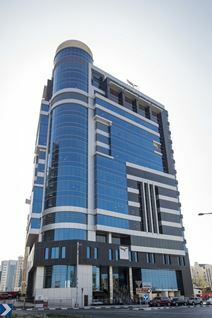 This office is located in the pivot of Doha's financial district. Excellent location with easy access to the world class international airport. These premium serviced offices are located in the highly prestigious Doha Tower in the citys West Bay central business district. The centre offers elegant, fully furnished offices, accessible 24/7 with 24-hour security. This space has stunning views of the city, and enjoys easy access to the best amenities, including shopping malls and hotels at which you can accommodate your visiting clients and executives. Situated in the futuristic project of Lusail City, this modern and luxurious part of Doha provides an attractive locale for both tourists and residents. The space is designed to increase your productivity; with serviced office space on offer, set within a gem of modern architecture and provides a clam and bright workspace for tenants. Vendome Mall is also found around the corner, with plenty of retail and leisure opportunities. A 15-minute drive from all international airport connections this workspace is ideally located in Doha's secondary business district within a new, contemporary designed building. Members have beautiful views over the city and access to business lounges and meeting rooms. Close by, there are many restaurants in which you can entertain and impress your clients. There is also a number of shops and hotels within walking distance! Located in a 57-storey palm-shaped tower, this business centre is in the heart of Doha and provides 1,100m² of prestigious office space spread over 25 units and 45 desk spaces. The modern setup includes the latest technology and quality conference rooms where you can network, present and interview. This center now offers virtual offices. Get connected. Professional mobility starts here! It is the perfect location for head offices of international and local companies to operate from the Middle East. This is an excellent location in the heart of West Bay, close to many fine hotels and restaurants. Offering a total capacity of 203 workstations, these offices are finished to a very high standard. This centre is less than 30 minutes away from Doha International Airport, and it has quick and easy access to every point of the city where youwill find many embassies, government ministries, retailers and eateries. 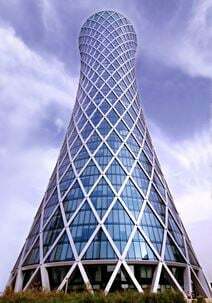 Moments form the bustling marina and right on the waterfront promenade this breathtaking skyscraper is just a short walk from Doha"s CBD and only 15 minutes from Hamad International Airport. From the 7th floor meeting rooms and flexible office spaces, tenants have views over the beautiful coastline. In addition, your business can also benefit from the centre's reception services that will greet your clients in a professional, courteous manner. Just 15 minutes from West Bay Diplomatic Area and 30 minutes from the airport, this business centre is located in a secluded island location in some of Qatar’s most prestigious surroundings. Boulevard-style café culture throughout the local area. You can benefit from secure underground parking, 24-hour access, high-end hotels close by, and an abundance of local hot spots within walking distance such as the Water Fountain! This is the ideal work space solution for ambitious businesses of any background. With an on-site management team to help with your unique business needs this business centre is located just a short drive from the West Bay commerce district. As well as office space members have access to meeting rooms, lounge areas and a fully functioning kitchen area. This centre is close to many eateries, museums, banks, hotels and historical monuments. The modern building provides comfort and style, with inspiration to keep you, your clients and colleagues motivated. There are a range of spaces on offer, including fully serviced offices, coworking spaces, meeting rooms and hot desking. You can scale up as required by your business growth, meaning you don’t pay for more than you need. There’s a strong business community in this exciting new development that brings luxury to the working world. Just book your coworking space or private office online, then book one of our striking meeting rooms with amazing views across Doha. This prominent and prestigious corporate building enjoys breathtaking views across the vibrant and exciting city of Doha. A range of office suites and workspace packages are available to suit any professional client's needs, with the building also featuring a superb range of premium and high quality, state of the art amenities. The site is located at the heart of the city's central business district and close to hotels, shops, eateries and banks.